Essential training for those new to payroll who want to learn the processes and procedures firstly on a manual basis, and then on a computerised basis using SagePay, a common payroll programme. If you successfully complete this training programme, youll have all you need to get into the world of payroll; the Award will also help secure you an interview in a payroll department. The course is highly practical in nature not only will you have the knowledge you need, but through a range of practical exercises based on real-life scenarios, you will have the skills and confidence to apply your knowledge in the world of work. 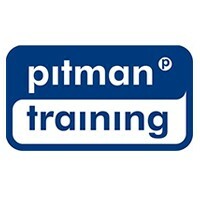 This is a key reason why this course is different to others and why employers respect Pitman Training Courses. Carear Path If you're training to learn how to process a business payroll you could work towards a career as Payroll Clerk, Finance Assistant, Accounts Assistant, HR Administrator or even HR Manager.